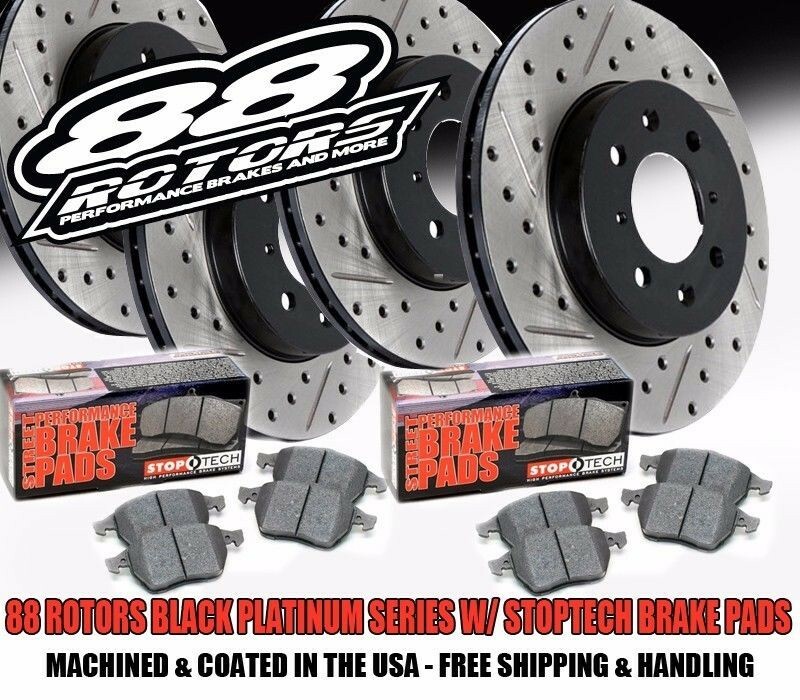 You are looking at a complete set of (4) 88 Rotors BPS Drilled & Slotted Brake Rotors w/Stoptech Brake Pads. Complete for the car! This is our premium kit that will get you braking on the dime! If your vehicle is not listed above then it will not fit and please do not purchase this item! We only guarantee fitments to vehicles listed above. You can search our store for your vehicle or contact us for further assistance if you can not find your vehicle listed. You are looking at a set of 4 88 ROTORS drilled & slotted OEM sized brake rotors w/performance Stoptech brake pads. They come with black hubs and vents to prevent them from corrosion. 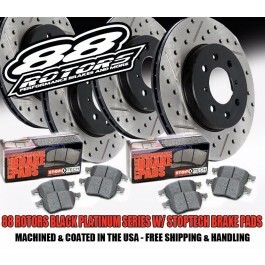 These directly swap into your stock brake set up. You would not need to swap your calipers or any other hardware. 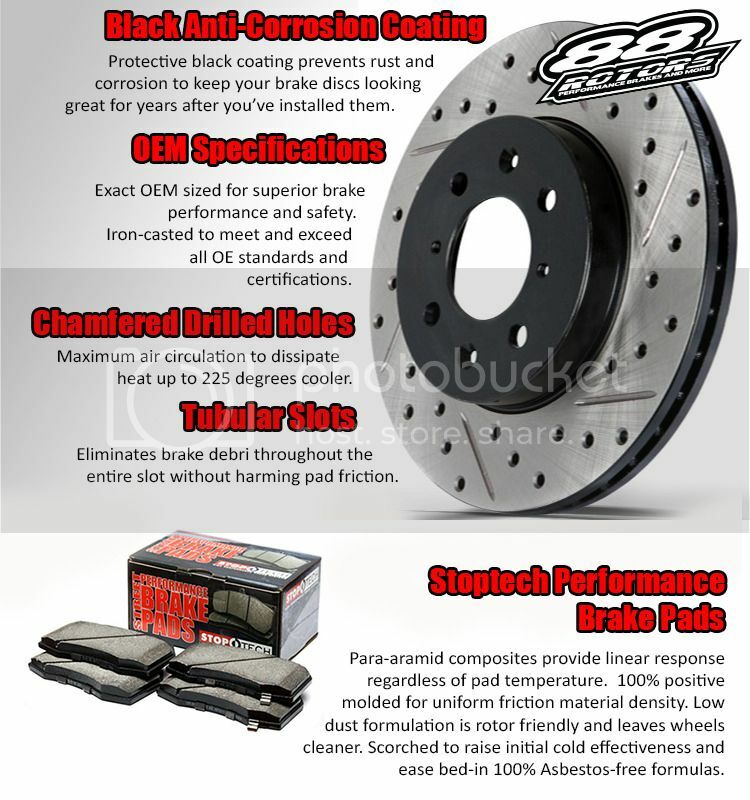 This brake kit is guaranteed to be 100% brand new, guaranteed to fit and work properly or your money back!